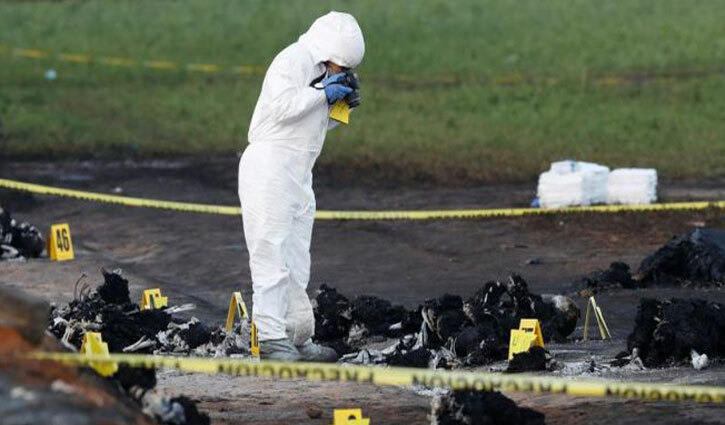 International Desk: At least 73 people were killed after a pipeline ruptured by suspected fuel thieves exploded in central Mexico, authorities said on Saturday, as president Andres Manuel Lopez Obrador defended the army despite its failure to clear the site before the blast. "Everyone came to see if they could get a bit of gasoline for their car, there isn't any in the gas stations," said farmer Isaias Garcia, 50. Garcia was at the site with two neighbours, but waited in the car some distance away.